Fascinated with uniform lines, geometry and the human form, emerging Perth artist Ariel Katzir combines dark inks, vibrant acrylics and mixed media to create stunning, unique artworks. Having graduated from the Central Institute of Technology with a Diploma in Fashion and Textiles, Ariel takes inspiration from Egon Schiele and her education in fashion and textiles, to create works that pique your interest and curiosity in the human form. 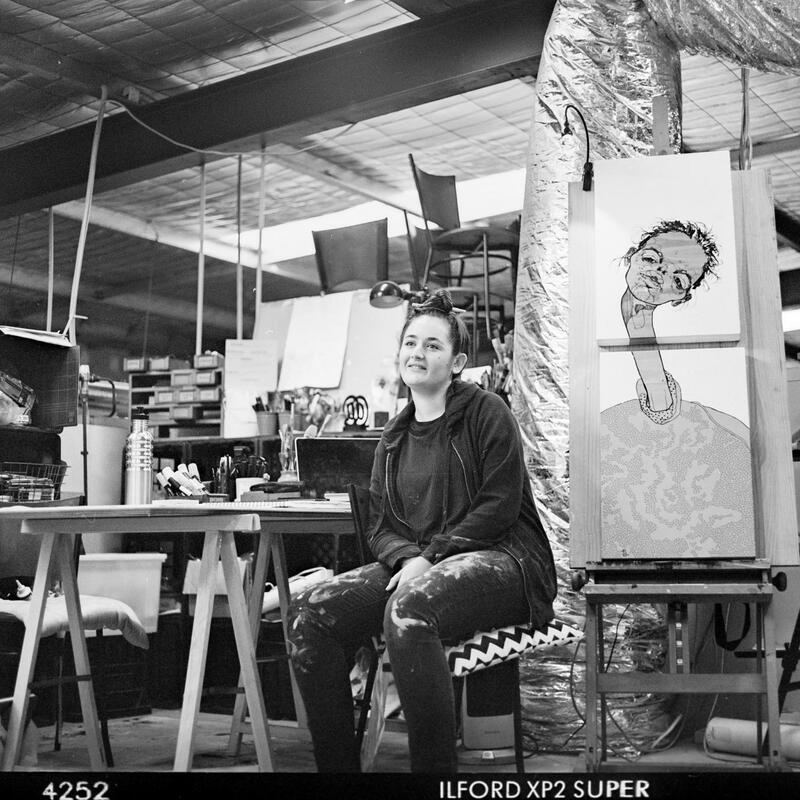 Since graduating with a Diploma of Fashion and Textiles from the Central Institute of Technology, Ariel Katzir, an emerging Perth artist, has been filled with inspiration and exploding with the urge to put pen to paper. Fascinated with uniform lines, geometry and the human form, she curiously incorporates these elements together, which create artworks that give the ability to see things from her creative perspective. 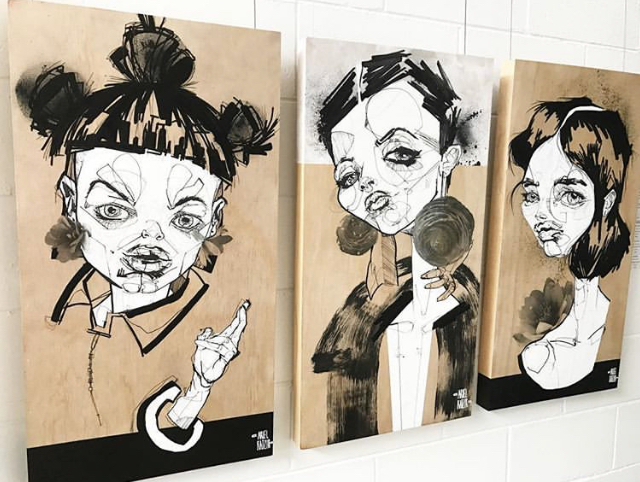 She breathes life into these imaginations by using dark inks and a pop of vibrant acrylics, finding the contrast between the two and projecting them onto wood, linen and porcelain canvases.